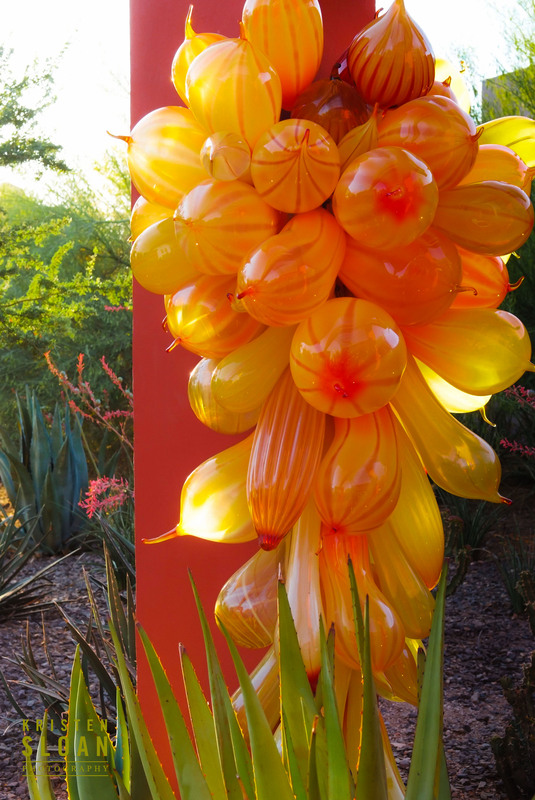 Today I was searching Pinterest looking for some artistic and garden inspiration. 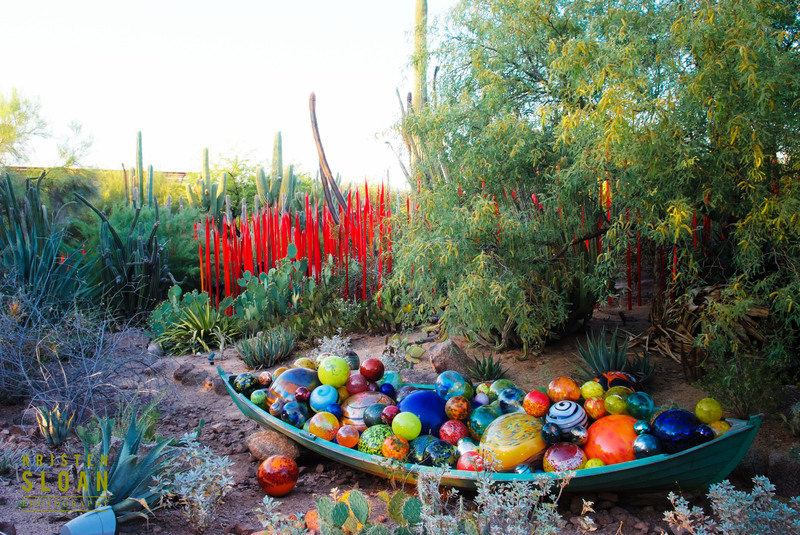 Dale Chihuly’s artwork work was featured in 2009 at the Phoenix Botanical Gardens. 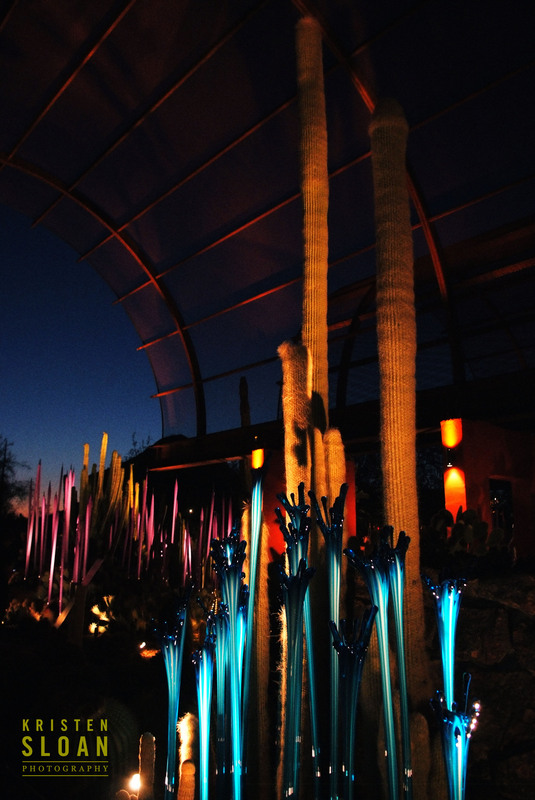 I had the pleasure viewing the display at dusk and as the evening progressed, night. 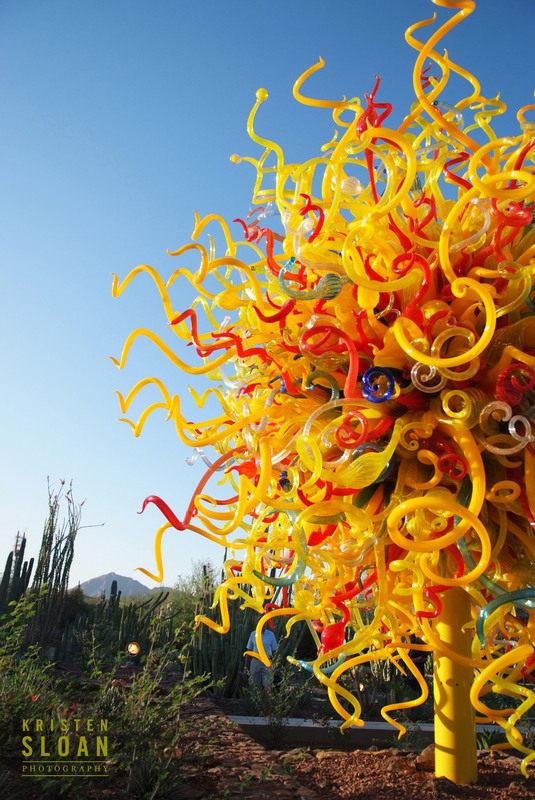 While St Petersburg, Florida is home to the amazing Morean Arts Center Chilhuly collection, I prefer to view Chihuly’s glass art in an outdoor setting. 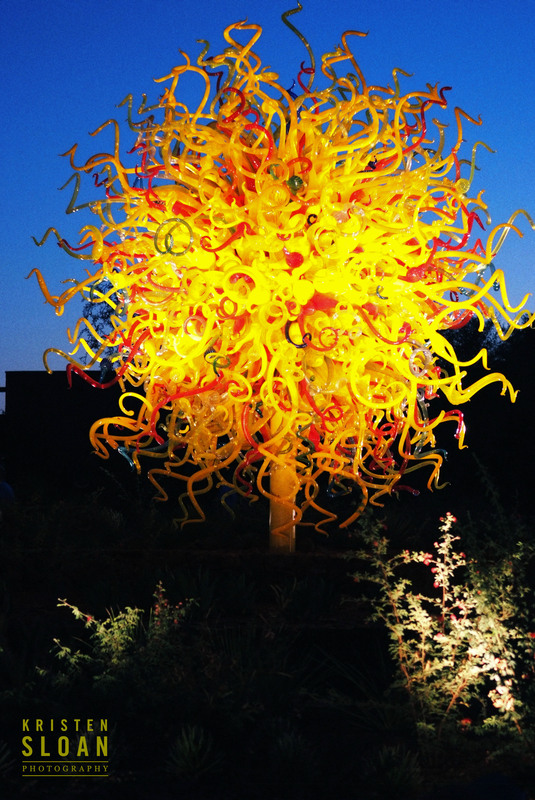 Looking forward to viewing Chihuly’s work in Seattle later this year at the Chihuly Garden and Glass. I was searching for pictures of this to show my husband. 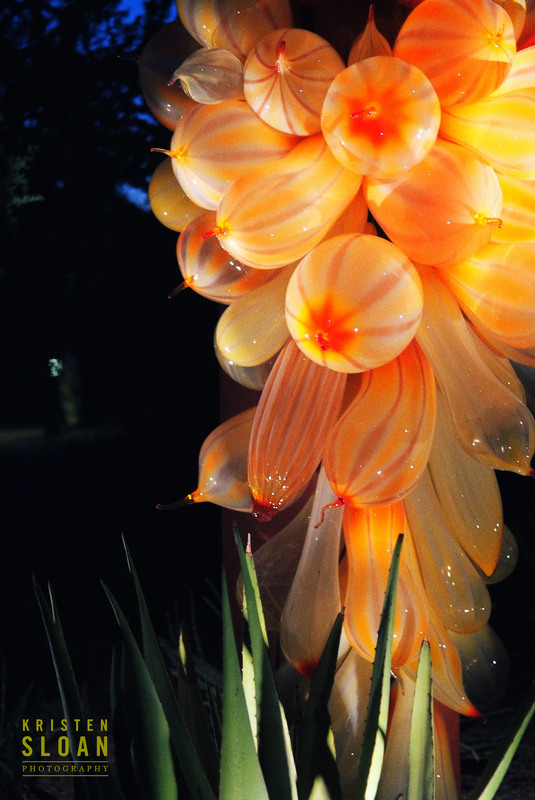 Your pictures of this exhibit are gorgeous. I wish would have brought my camera when I visited this a couple years ago. On a slightly different note, I would love for you to participate in our Be Inspired Project. A project that is dedicated to inspiring individuals around the globe one photograph at a time. Here is the link to our blog post for more information about the project. 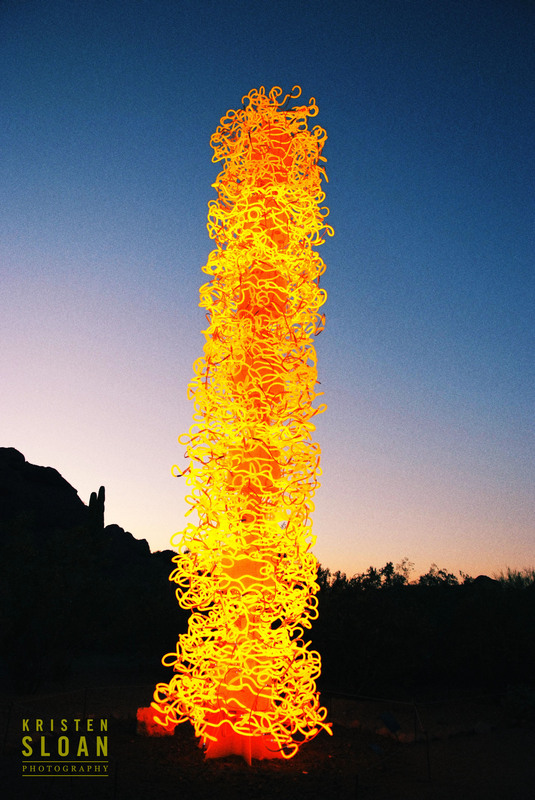 http://www.hellosunshinephoto.com/2012/03/29/be-inspired-photography-extravaganza/ I hope you consider joining this project!